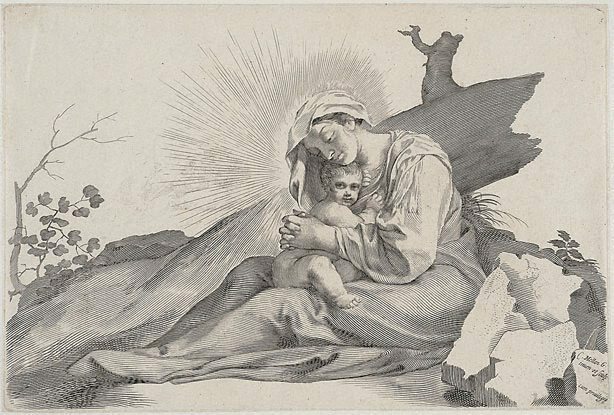 Mellan spent the years between 1624 and 1636 in Rome, where he developed his distinctive engraving style. Contemporary connoisseurs particularly admired his technique of using parallel lines of varying direction and thickness rather than cross-hatching. This print is an example of Mellan's open, linear style, in which outlines are abandoned altogether. Signed l.r., [incised plate] "C.Mellan ...". Not dated.